When you run your own automotive repair business, time is money. The longer it takes to get the job done, the longer it takes to get paid and the longer it takes to move on to the next job. If you like to do your auto repairs yourself, then you will also agree that there's nothing worse than waiting for Buick Rendezvous Parts. It's easy to become impatient when you just want to get the job finished. Luckily, there's a better way. UNeedAPart.com networks over 7,000 parts shops so finding the exact Buick Rendezvous Parts you need can be done easily and best of all, quickly. Plus, all of the benefits from using UNeedAPart.com can be taken advantage of by both auto repair professionals and individuals alike. UNeedAPart.com is your ultimate access for everything you need to make your or your customer's Buick Rendezvous looking and running like new. We carry everything from Used Buick Rendezvous Engine to Rendezvous Accessories. If you need Buick Rendezvous Wheels, or a harness or diagram, we can find these for you. 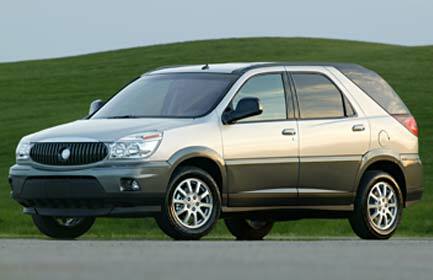 Take a look at our massive inventory of Buick Rendezvous Parts. If there's a part that's not available from our comprehensive list of parts dealers, odds are that the part doesn't exist! Finding the right Buick Rendezvous Parts is easy! To get started, simply use the Parts Request boxes at the top and/or side of the page. You will instantly be matched with auto parts dealers that meet your search criteria. UNeedAPart.com helps you find the new or used auto body parts you need in no time!